Editor’s note: Baseball is back and Yahoo Sports is previewing all 30 teams over the next month. This year’s previews will focus on fantasy and reality, as our MLB news staff and our fantasy baseball crew come together to assess each team before opening day. Next up, the Chicago Cubs. If you remember the post-2016 World Series hype, we were supposed to have been on year four of a Chicago Cubs dynasty by now. Another division title followed, but so did an early playoff exit. Last year, it was a second-place finish and a loss in the wild-card game. The Cubs haven’t been able to seize on all their talent again like they did in 2016. Last year, injuries were a big part of it. They still won an excellent 95 games, but were topped by the Milwaukee Brewers in the NL Central as Yu Darvish, Kris Bryant and others didn’t meet expectations because of injuries. 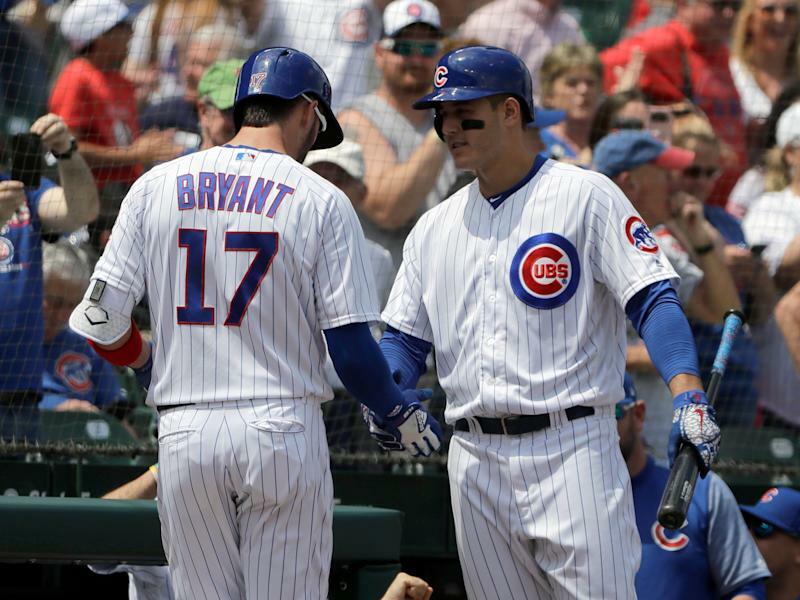 Now the question seems to be becoming: Can the Cubs even keep up in the NL Central? The talent is there, no question. Bryant is one of the best players in the game. Javy Báez nearly won the MVP last year. There’s Anthony Rizzo, Willson Contreras, Kyle Schwarber. The pitching is full of well-known names like Jon Lester, Cole Hamels and José Quintana, but the Cubs’ pitching situation sounds better than it actually is, as most everyone has a question mark. Plenty of them will sounds good on your fantasy team too. 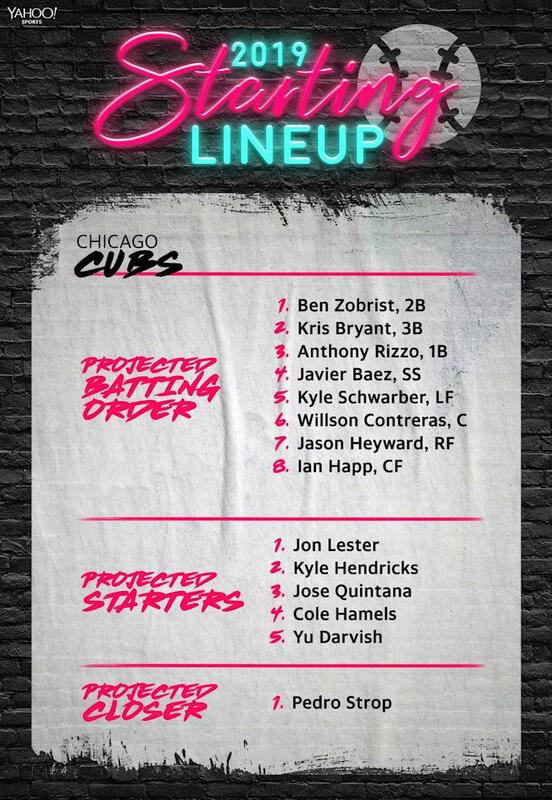 Bryant, Rizzo, Baez and Contreras are all seemingly safe picks, Darvish, Schwarber, Lester, Quintana are all a bit riskier, but people will latch on to them because they’re the Cubs. The Cubs’ offseason consisted of adding — *shuffles around desk, looking for the right piece of paper* — Brad Brach and Daniel Descalso?! Yep, that’s all the Cubs did. It certainly wasn’t the year they signed Jon Lester. The Cubs’ decision to stand pat was a controversial one on the North Side and around baseball. As the Brewers and Cardinals got better this year, the Cubs stayed the Cubs. They’ve got the talent to justify that stance, but they certainly didn’t get it done last year despite 95 wins. In a National League where there’s no clear favorite, the Cubs could have become that with the right move or two. Instead? Here we are. If the Cubs falter again, their offseason strategy could be a huge point of contention. Who will be the Cubs’ fantasy breakout? What is Chicago’s biggest fantasy question? The Cubs farm system is going through a rebuild. The team has graduated a number of impact players to the majors in recent seasons and traded away other talented players to help the major-league team stay competitive. 1. Yu Darvish and Tyler Chatwood bounce back: The Cubs didn't spend much money this winter. One year earlier, they spent a lot but got little return from Darvish and Chatwood. The Cubs got a total of five wins from the right-handers. Darvish was limited by injury. His season ended with surgery to address a stress reaction in his elbow. Chatwood was doomed by a lack of command. In 103 innings, he walked 95 batters while striking out only 85. With $106.5 million still due to the duo, the Cubs need more in 2019. 2. Healthy Kris Bryant: The Cubs third baseman has a chip on his shoulder, which is better than the ache that helped limit his power last season. The former NL MVP missed time and struggled to the finish line, finishing with a .272/.374/.460 batting line and just 13 homers. The Cubs offensive output dipped as a result, going from back-to-back top five finishes in runs scored to ninth. Yeah, it might not sound like much, but their 50 fewer runs compared to 2017 made a big difference in the standings. The Cubs are, no-doubt, one of the most-talked-about teams in baseball and their decision to not gear up this offseason is quite intriguing. Ultimately, though, you can’t tell the Cubs nothing.